Just a quick post to wish everyone a very Happy St. Patrick's Day! I actually happen to be a wee bit Irish...there is an Irish princess on my Dad's side of the family. Because of this, I've always had a bit of thing for this special day. We don't do much with regards to celebrating, but we'll definitely be enjoying a nice bit of corned beef, cabbage and soda bread for dinner. 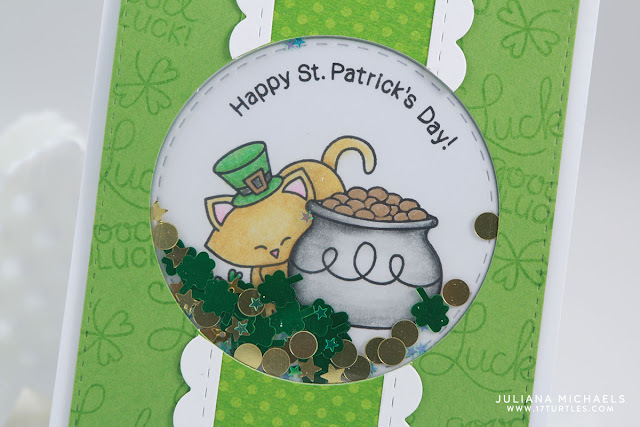 I created this card using Newton's Nook Designs Pot of Gold stamp set. 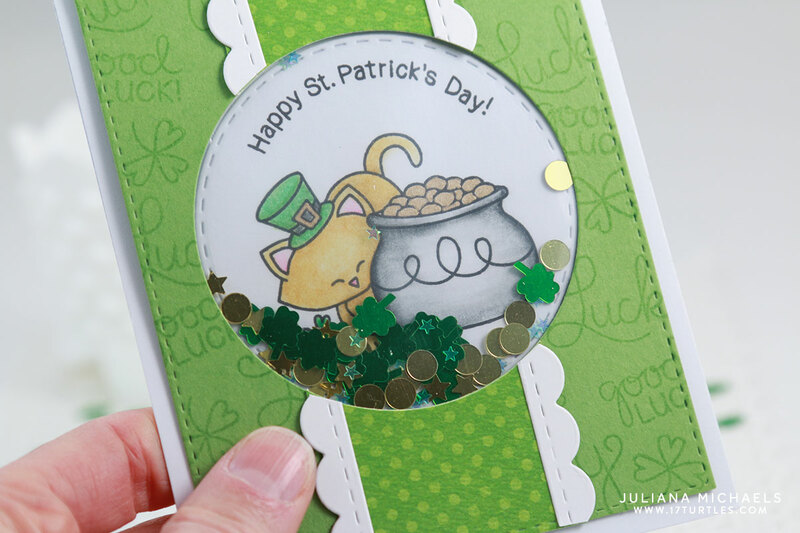 The background paper was made by stamping some of the stamps from the set with Versamark Watermark Embossing Ink. I stamped and colored Newton using Prismacolor colored pencils and blended them with Gamsol and a blending stump. The shaker part was created using the We R Memory Keepers Fuse Tool. This was one of my first attempts at creating a shaker card using this method. I placed the stamped/die cut circle image inside the page protector along with the sequins. I'm not sure if it's my favorite say, but it is a lot less time consuming if your tool is already preheated and ready to go. 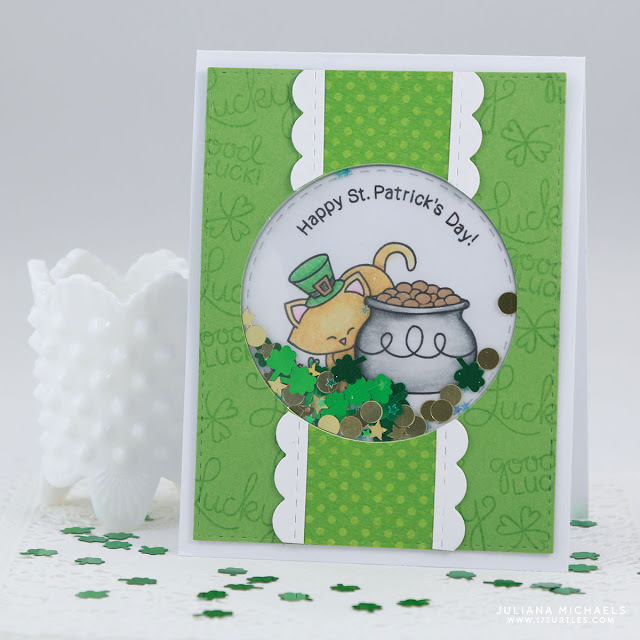 Speaking of Newton's Nook Designs, all this week on my blog I've been sharing cards created using stamps and dies from their March release. Guess what? All of these new goodies are available in their online store starting today. Happy Shopping! Who can resist a cute shaker card?! LOVE it Juliana! That is sweet. Love the colors too!